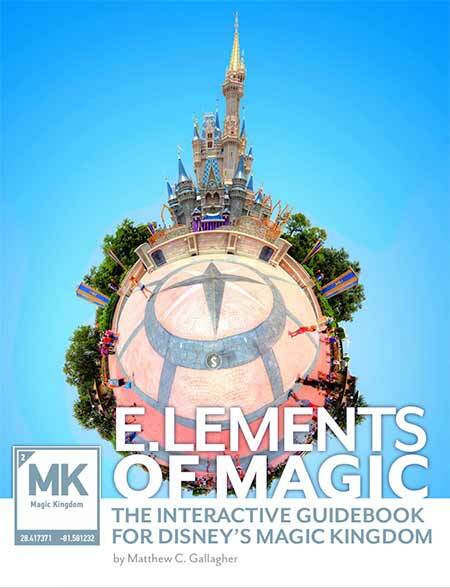 we have recently completed a long-term project and published our first book entitled, elements of magic: the interactive guidebook to disney’s magic kingdom, and it is now available on the iBookstore. the book covers a brief history of disneyland, and showcases each of the six lands in the magic kingdom (main street u.s.a., adventureland, frontierland, liberty square, fantasyland, and tomorrowland) as well as detailed segments on each of the major attractions (rides and restaurants) within. 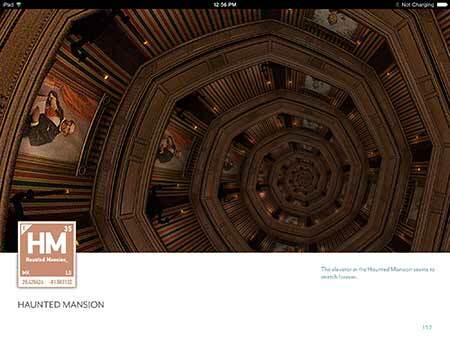 it features extensive original photography, an interactive timeline, immersive rich-media, 360º virtual reality views from around the park and more to bring the thrills and magic of the park to life in this new iBook. 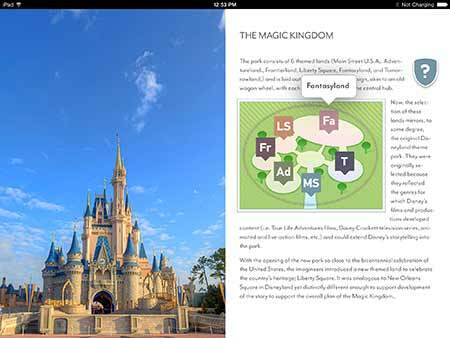 it was designed for iBooks and leverages the features of the iPad and iBooks to create a compelling guidebook to capture the excitement and magic of the park. 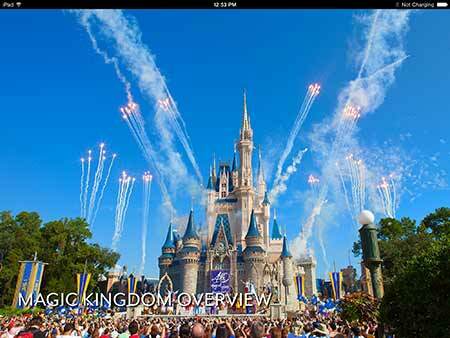 you can download the book from the iBookstore today.